I entered the world of indigenous film Suddenly without any previous contact with Native Americans. 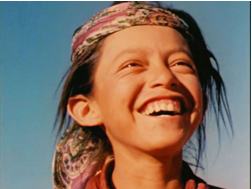 I just tried to find the people in an old film from the 1950s called Navajo Boy. My search for them took me into Monument Valley and into an astonishing Navajo family history involving Hollywood, uranium mining, and a missing baby. The Cly family accepted me. We had no idea where the documentary process was going to lead us. I learned how to see things from the inside out and not like a reporter looking in from outside. 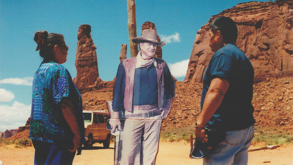 Together we made the film from the Navajo point of view. I feel blessed in many ways, particularly because I got to join in this family's struggle and help them reunite with a long lost brother. But even now it is hard for us to figure out what to do about the revelations of uranium contamination and the appalling health hazards that we put on screen. The Return of Navajo Boy has stunned people all over the world. It triggered a federal investigation of Navajo uranium houses. We found sponsors to help the Navajo family in the film travel with it to Washington DC and colleges nationwide. Their story continues at www.navajoboy.com where viewers can watch webisodes and see how this groundswell leads toward environmental justice.